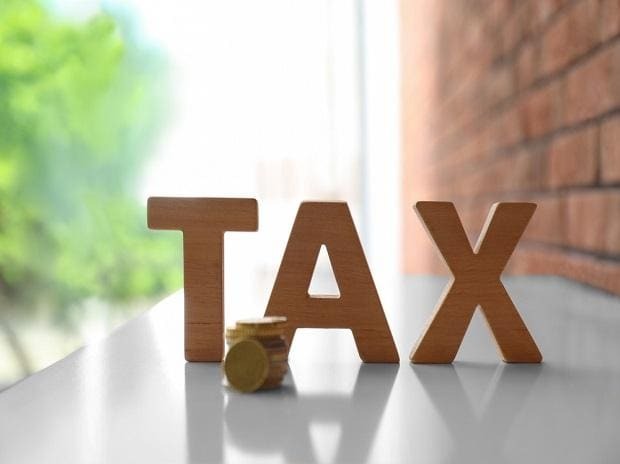 The government will exceed the direct tax target of Rs 11.5 trillion in the financial year 2018-19, Central Board of Direct Taxes (CBDT) Chairman Sushil Chandra said on Friday. This will either help the government in restricting fiscal deficit to 3.3 per cent of the gross domestic product (GDP) as planned or assist in reducing fiscal slippage, in case that happens. Chandra was speaking on the sidelines of an event commemorating revenue department officers on the occasion of the annual investiture ceremony and International Customs Day. Revenue from direct taxes has assumed great importance due to a shortfall in goods and services tax (GST) collection. With three months remaining in this financial year, about Rs 3.5 trillion of Rs 6.04 trillion, or only 60 per cent of annual GST target, stands collected. This has made enhanced revenue mop up from sources other than GST essential for restricting the fiscal deficit. Past data shows the government’s performance in meeting Budget target for direct taxes has been improving. 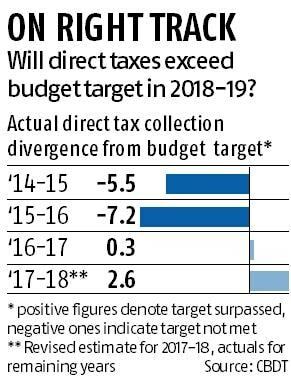 In 2014-15, the first year of the Narendra Modi-led National Democratic Alliance government, the actual direct tax collection went 5.5 per cent below the target. It worsened in 2015-16, with the actual collection 7 per cent below target. The actual collection was almost equal to the Budget estimate in 2016-17, the demonetisation year. Part of it was contributed by the Income Declaration Scheme 2016, the CBDT had said earlier. In 2017-18, the revised estimate was higher than the Budget Estimate by 2.6 per cent. However, the growth in net direct tax collection slowed down in April-December 2018-19, at 13.6 per cent over the previous year, compared to 18.2 per cent in April-December 2017-18. Corporate income taxes grew 16 per cent, while personal income tax collection grew 14.8 per cent in April-December 2018-19.